The Grace Hills mission team landed in Belize City Monday and immediately we knew we were no longer in Kansas (nor Nortwest Arkansas!). Our host pastor met us at the airport and gave us a short tour of the city and showed us the churches and ministry care centers where we would be working. I must say that within a few minutes, I was overwhelmed emotionally by the poverty and the almost non-existent infrastructure. The stories of gangs, crime, corruption, and the lack of affordable education all came together to flood my heart with a sense of hopelessness. How could we possibly make a difference in a city with so many problems and so many needs? The answer was right in front of me… the man giving us our first view of the city. Pastor Derrick was one of those young men who grew up in Belize City and as a young man, took part in crime and drug culture. A local church reached out to his family and assisted them with food and clothing. He heard the gospel and became a believer in Christ. Life was still hard, but he had a new hope and a new direction in his life. Others made great sacrifices and he was able to finish his education and followed God’s calling as an evangelist. He now works among several churches training lay leaders and pastors to carry on the work of winning Belize to Christ… one life and one heart at a time. Someone took the time and made the effort to reach him and now he, in turn, is reaching hundreds. The answer to my being overwhelmed by what I saw was simply this: Follow God’s calling in your life and do whatever you can do… even if it is just for one person at a time. Jesus preached to the multitudes and spoke with people of great influence and power, yet the gospel account is filled with stories of him spending time with one woman at the well, a man born blind, a woman caught in adultery, or a maniac who had lost his mind… and the list goes on. We have no idea how many lives have been changed because those people, whom Jesus personally helped, would go on and speak into the lives of others. The task is hard and enormous in Belize. I don’t want to focus on that. Instead I want to find the one person or the one child for whom I can make a difference. And I want to do it with all my might! Interested in writing devotionals? While we can't promise to use every submission, feel free to submit one here. Danny Kirk has been a pastor for over forty years and now serves as the Community Pastor at Grace Hills, overseeing small groups and several other ministries. He is a Teaching Pastor at Grace Hills. He is married to Carolyn and they have three children and eight grandchildren. 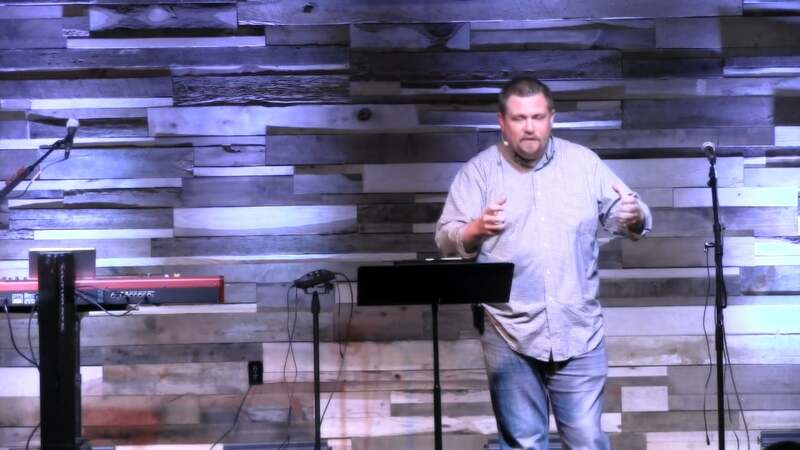 Copyright © 2019 Grace Hills Church. Have an Awesome Church Website!